Rudolf Ludwig Mössbauer received the Nobel Prize in Physics in 1961 "for his researches concerning the resonance absorption of gamma radiation and his discovery in this connection of the effect which bears his name." He held positions at the Technical University of Munich, the Max Planck Institute for Medical Research, the Institute Max von Laue-Paul Langevin, and the California Institute of Technology. Janurary 31, 1929Birth, Munich (Germany). 1952Obtained undergraduate degree, Technical University of Munich (Technische Universität München), Munich (Germany). 1953Assistant Lecturer, Institute of Mathematics (1953), Technical University in Munich (Technische Universität München), Munich (Germany). 1953 – 1954Doctoral thesis work, Institute for Physics, Max Planck Institute for Medical Research, Heidelberg, Heidelberg (Germany). 1958Provided experimental evidence for existence of Recoilless Nuclear Resonance Absorption, Max Planck Institute for Medical Research, Heidelberg (Germany). 1958Obtained PhD, Technical University of Munich (Technische Universität München), Munich (Germany). 1959Scientific Assistant, Technical University in Munich (Technische Universität München). 1960Awarded Prize of the Research Corporation, Research Corporation for Scientific Advancement. 1960 – 1963Senior Research Fellow (1960), and Professor of Physics (1962), Calfornia Institute of Technology, Pasadena (Calif.). 1961Awarded Elliot Cresson Medal, Franklin Institute. 1961Awarded Röntgen Prize, University of Giessen. 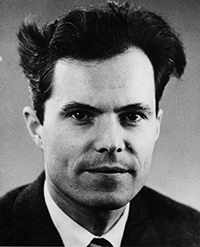 1961Awarded Nobel Prize in Physics "for his researches concerning the resonance absorption of gamma radiation and his discovery in this connection of the effect which bears his name". 1963 – 1997Professor of Physics (1963), and Professor Emeritus, Technical University of Munich (Technische Universität München), Munich (Germany). 1972 – 1977Director, Institute Max von Laue-Paul Langevin, Grenoble (France). September 14, 2011Death, Grünwald (Germany). Doctoral advisor at the Technical University of Munich (Technische Universität München). Both awarded 1961 Nobel Prize in Physics for separate projects. Senior Research Fellow and Professor of Physics. Received undergraduate degree (1955) and PhD (1958). Assistant lecturer, Institute of Mathematics; Ph.D (1958); Scientific Assistant; Professor of Physics; and Professor emeritus. Awarded Elliot Cresson Medal (1961). Nobel laureates on scientific research project: oral history, 1964. Selected talks from the International Conference on the History of Original Ideas and Basic Discoveries in Particle Physics [sound recording] /1994. Encyclopaedia Britannica - Rudolf Mössbauer. Rudolf Mössbauer Nobel Prize autobiography.